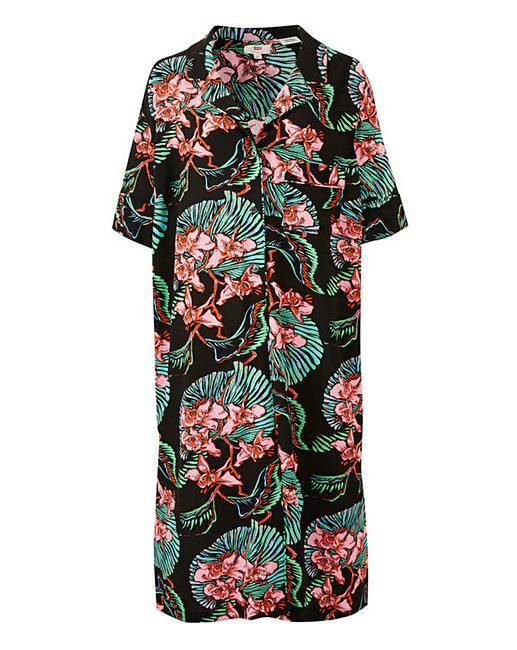 This timeless Hawaiian shirt by Levi's has been reinvented as a dress. Wear it open as a layering piece, team with some denim shorts, or wear as a summer dress - this shirt gives you three looks in one. Perfect for a summer vacation or to give you those festival feels. Size 1 (18/20), Size 2 (22/24), Size 3 (26/28).